For your networking project Axiom Active Optical Cable offers efficient & cost effective cabling solutions. It made only the finest components and the latest construction technologies to optimize cable performance and ensure compliance to industry specifications for each cable and its designated application. 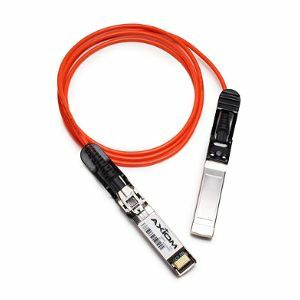 It comes with 10m length with QSFP+ connector at both ends. Order Axiom 10m Active Optical Cable today!